Zombie Show To Be Filmed in Central Virginia | NewsTalk1230 WFVA | Talk...Done Right! (Richmond)- A spin-off of the zombie TV show “The Walking Dead” is set to be filmed in central Virginia this summer. 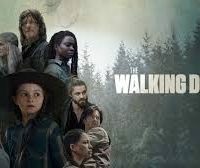 Governor Northam said yesterday that AMC will produce ten episodes scheduled for a 2020 release. The state is offering a tax credit for the production. Virginia’s Film Office director says many of the filming locations haven’t been decided, although Richmond will act as a production services base.